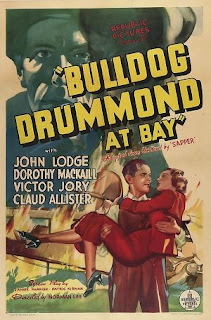 John Lodge is Captain Hugh Drummond in one of a long series of films (its one of three films from 1937 all with different Drummond's. The other two are the miscast Ray Milland and the perfectly cast John Howard). 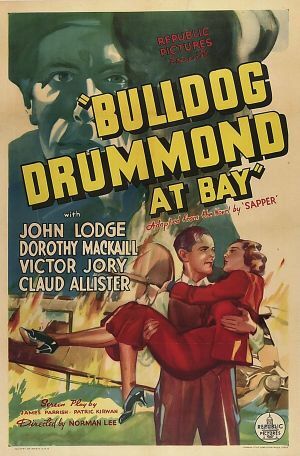 Here Drummond and his friends take on a group of foreign spies trying to get their hands on a new plane. One of the baddies is played to perfection by Victory Jory, who really turns in a highly evil performance.